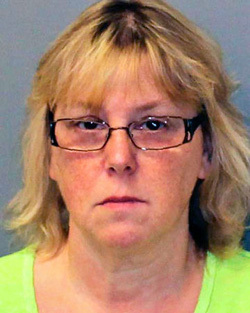 Prison employee Joyce Mitchell allegedly helped two inmates escape. In an interview on CNN today, Forensic Psychiatrist Dr. Michael Welner spoke of the female prison employee, Joyce Mitchell, who is alleged to have helped the two New York inmates escape. “We need to appreciate the vulnerability with prison employees the way we do our children with pedophiles,” Welner says. He points out that, “We all see what we need to see in other people.” Prison workers need to regard the humanity of inmates, he says, and this regard makes them vulnerable. New York prison break: Was husband warned about escape plan, murder plot?, on CNN.com. WOW Donna EXCELLENT interview thank you for posting!!! This is what I have told others on here that start to blame their vulnerabilities instead of keeping the focus on the psychopaths mental games & masterful manipulation. Being around normal people you are safe with your vulnerabilities but being around a psychopath he/she will pick up on those and then destroy you mentally one by one. This psychologist states that “Access & Time” is all that a psychopath needs = love bombing time!! My ex h was relentless in the beginning with phone calls even though he knew I was at work by the time I got home he had left 8 message everyday! !….and he would show up unannounced this is the time & access the Dr was talking about. You might not being imitating the “Access & time” for them but you can surely bet the psychopath will push for the “Access & Time’ with you and everyone else = they no ZERO boundaries!!!! “Access & Time is psychologically dangerous not just physically with a psychopath!! !” (These are this Dr’s words!!!) POWERFUL WORDS!!! I hope this woman & her family sue the HELL out of the prison & state for not having the safety net in place for her/the prisoners to realize that this guy should NEVER have been around any other prison guard or any prisoners.e He should have been in solitary confinement with ZERO access to any human!! This is what Russia does with their psychopath in prison they know who they truly are and how they will destroy a prison from the inside out. Donna have you thought about contacting CNN to give them an interview on this very subject??? You would give great insight into this for the masses especially how common these evil people are walking among us. Jan – I agree that this was an informative interview. Thank you to Dr. Liane Leedom for posting it. Hi Liane, I am sorry again that I did not read first who wrote the article. Please except my apologize. Thank you for posting this very insightful interview sadly CNN did not play it throughout the day nor did they talk about it later in the evening shows to truly educate people. It’s a perfect example that society does not want to hear the truth about the evil that walks this planet starting with the reporters. One of my life goals is to encourage thought about this issue (people who behave differently “under the influence” of a psychopathic predator). In the several studies I have been involved in, many participants reported being manipulated into wittingly and unwittingly doing immoral/illegal things. Managing shame is a big part of recovery and so if this was also you (doing things you regret) practice some self-compassion today. Thank you so much for this link to self-compassion. I’m sure All parents suffer guilt, but I could not seem to find a way to make peace with myself. I married my ex and brought him into my daughter’s life where he manipulated her mind and taught her that I was “less than” and “not good enough” and that b/c I was soooo deficient she could speak to me as abusively as she please. You can guess the other messages she has lived by and you’d probably be right about most of them. We are semi-estranged, although recently she has turned back into a caring person and has reached out to me to make amends. She will not explain herself but she is no longer hostile and rejecting. It has taken a LOT to get to this point where she will now chat with me and share personal info about her life and invite my opinions and insights… but she still will NOT allow questions or resolution to problems/behaviors during the really bad years. The consequence to having a sociopath for a father affected my child’s every decision, every attitude, changed the possibilities for her future, changed how she responded to the world, changed so that she had NO support system – b/c I’d been dismissed and rejected. She became self sabotaging, vengeful, and very very raging angry. And when I looked for help, there was none. It was ALL “blame the mom”. All this is longwinded… sorry. My point: I know you write about raising at risk kids but what about a book for parents who are trying to deal with “a horse that has left the barn”, such as my situation where I knew things were screwed up and that I couldn’t seem to find a way to manage all that I was being blamed for, but how to help the parent that found out AFTER or DURING the divorce why the marriage was a nightmare (b/c I was married to a sociopath who didn’t allow normalcy), and instead of blaming the mommy (b/c as they write, it’s ALWAYS the primary caretakers blame for discord with a child and that if I had a true bond, the discord would not be happening… which is NOT TRUE with a Sociopath whispering in a young child’s ear!!!). I’d love you to write a book on HELPING a mom to resolve the landmines when the window of opportunity to parent are over. I can’t help but think that I’m not the only parent who needed this vital help and found only condemnation. I meant to clarify, although my marriage was really horrid, especially at the end, I didn’t realize he was a sociopath until I was going through the divorce and stumbled onto Donna’s site by a MIRACLE. By then, my child was grown and very very angry towards me.